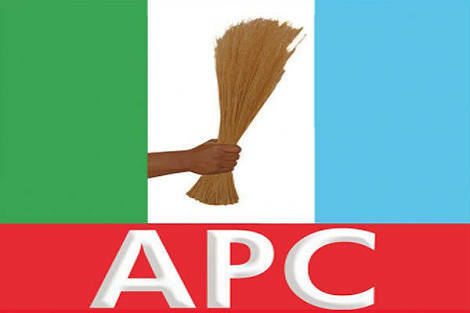 The Kwara state chapter, All Progressives Congress (APC) has expressed their readiness to receive President Muhammadu Buhari on Monday for flag-off of his campaign for 2019 poll. The Chairman, Central Working Committee for the Presidential Campaign Visit, Hon Mashood Mustapha stated on Saturday while addressing newsmen at APC Secretariat (Unity House), Ilorin. Hon Mustapha disclosed that President Muhammadu Buhari has implemented a lot of infrastructural projects in the last three years. While reeling out Buhari’s achievements, Mustapha said APC led federal government has completed Jebba-Ilorin and Osun boundary-Erinle roads while work is ongoing on Patigi-Kpada-Share road, Dualization of Ganmo to Olunlade road, Omu-aran-Ilorin Highway, Oro township road, Kaiama-New Bussa road and others. The former federal lawmaker added that over 10,000 kwarans were enlisted in N-power scheme, thousands of market women benefited from tradermoni and rice farmers have been empowered through Anchored Borrower Scheme. According to him, Kwara state got first class ministerial appointment (Minister of Information, Alhaji Lai Mohammed), two ambassadorial slots, board of federal parastatals and latest one is the nomination of Abdullahi Yaman as a commissioner in RMAFC. He noted that the presidential visit will show acceptability and love of kwarans for President Muhammadu Buhari as well as his running mate, Prof Yemi Osinbajo. He however urged party members and supporters to be law abiding, peaceful and responsible throughout the visit. Mustapha explained that APC is not out to use the president visit to intimidate, harrass or malign any politician or party. ‘The campaign visit will be hitch-free by God’s grace and cooperation of all citizens including security agencies’. Speaking on the itineraries of the president and his entourage, Hon. Mustapha said the campaign train will visit Emir’s palace to pay homage to traditional rulers in the state and move to Metropolitan Centre for the flag-off. Mustapha commended Minister of Information, Alahaji Lai Mohammed, Kwara APC governorship candidate, Alhaji Abdulrahman Abdulrasaq and State Chairman, Hon Bashir Omolaja Bolarinwa for effective coordination and mobilisation of all the sub-committees.